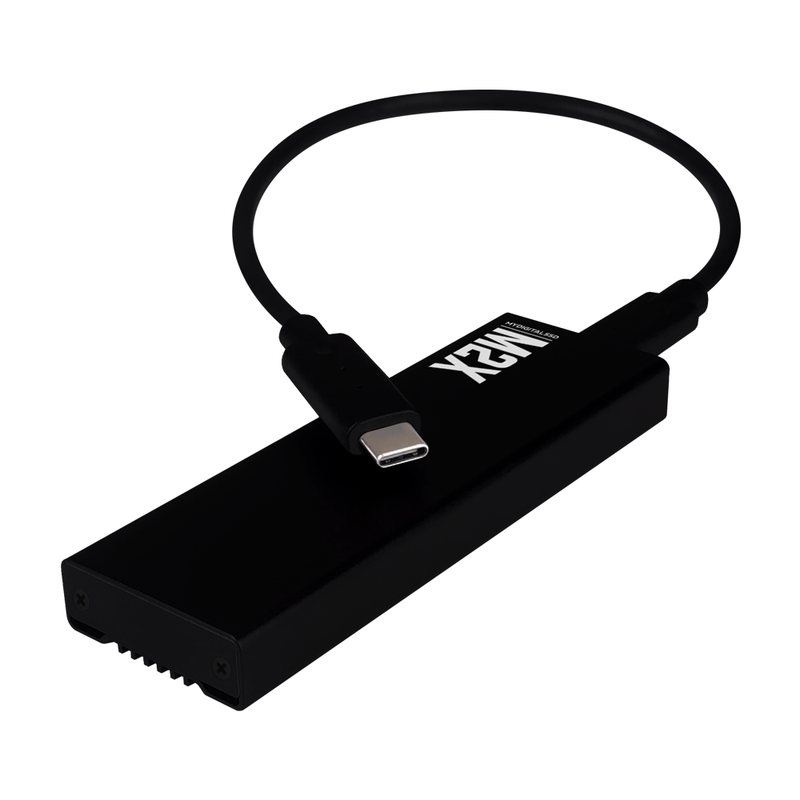 The MyDigitalSSD M2X external USB 3.1 Gen 2 adapter enclosure allows users to bring NVMe speeds with them on the go by turning any PCIe M.2 M (M key) solid state drive into an ultra-portable pocket drive. 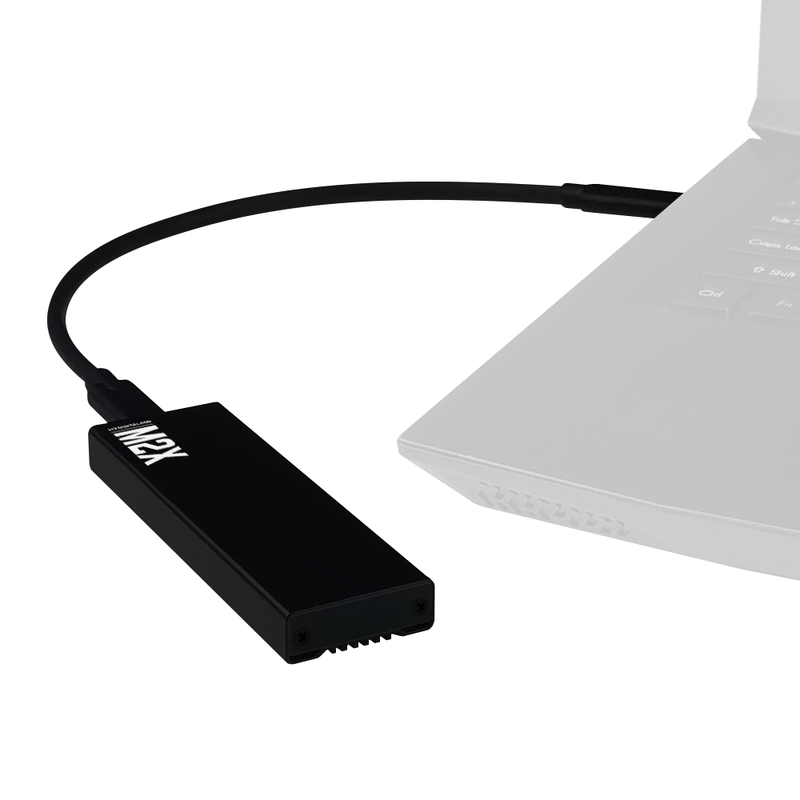 Featuring a durable lightweight aluminum casing with USB-C and USB-A connectivity, the M2X enclosure provides near-instant access of up to 2TB of data anywhere, anytime thanks to a grooved heatsink design that combats high heat issues commonly found in small form factor SSDs and ensures peak performance even under heavy use. 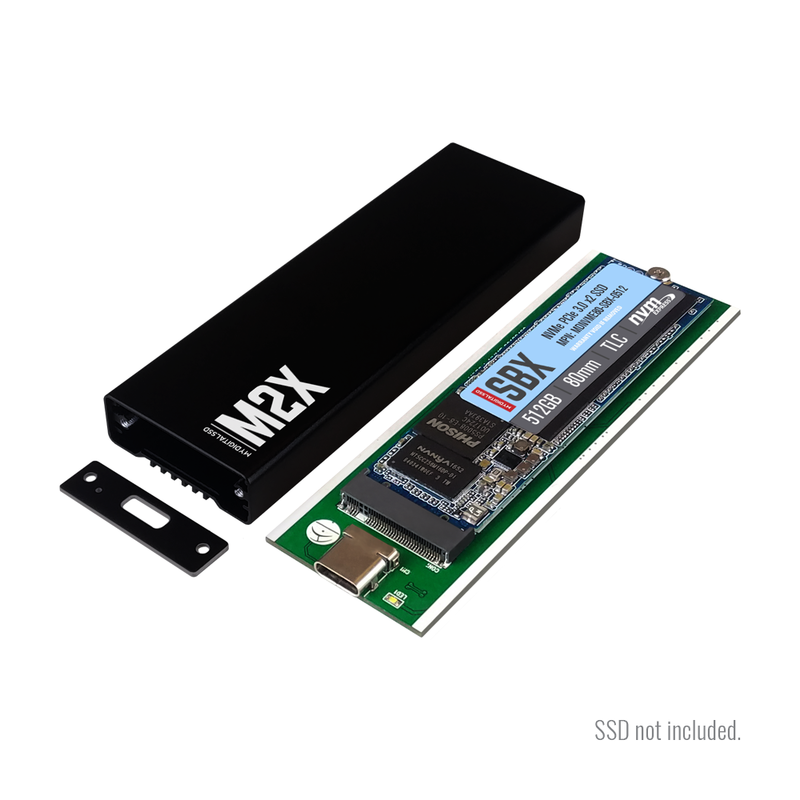 The M2X features JMicron's JMS583 USB 3.1 Gen 2 to PCIe Gen3 x2 bridge controller that offers data transfer speeds up to 10Gbps, double the transfer rate of USB 3.1 Gen 1 (USB 3.0). 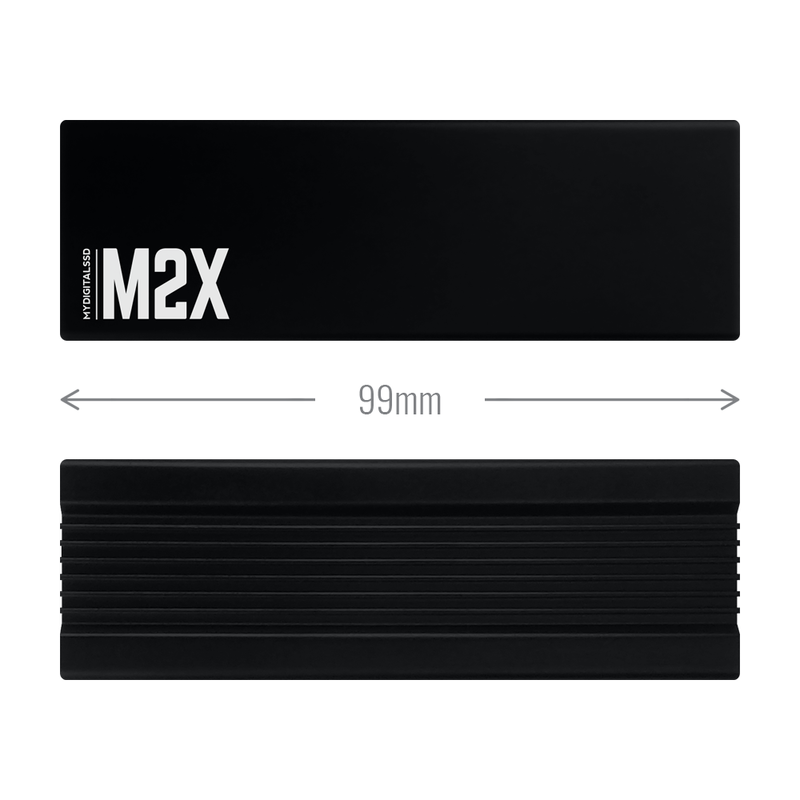 Weighing less than two ounces, the M2X features a sleek, compact, and crush-resistant aluminum casing that safeguards against shock and vibration while its grooved fin heatsink base aids heat dissipation for a cooling effect up to 15°C*, protecting drives from overheating and thermal throttling. 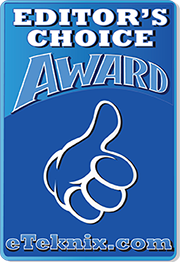 *When using the included silica gel thermal pad. 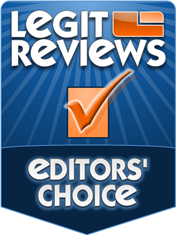 Results may vary depending on environment. 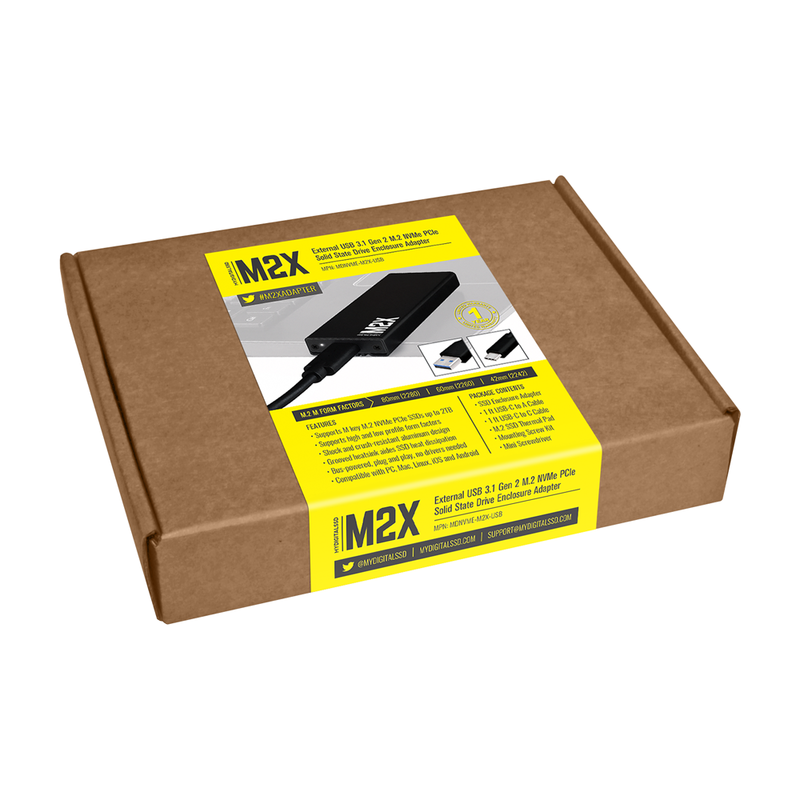 M2X enclosure adapters are powered directly through the USB port, eliminating the need to carry an additional power cord. 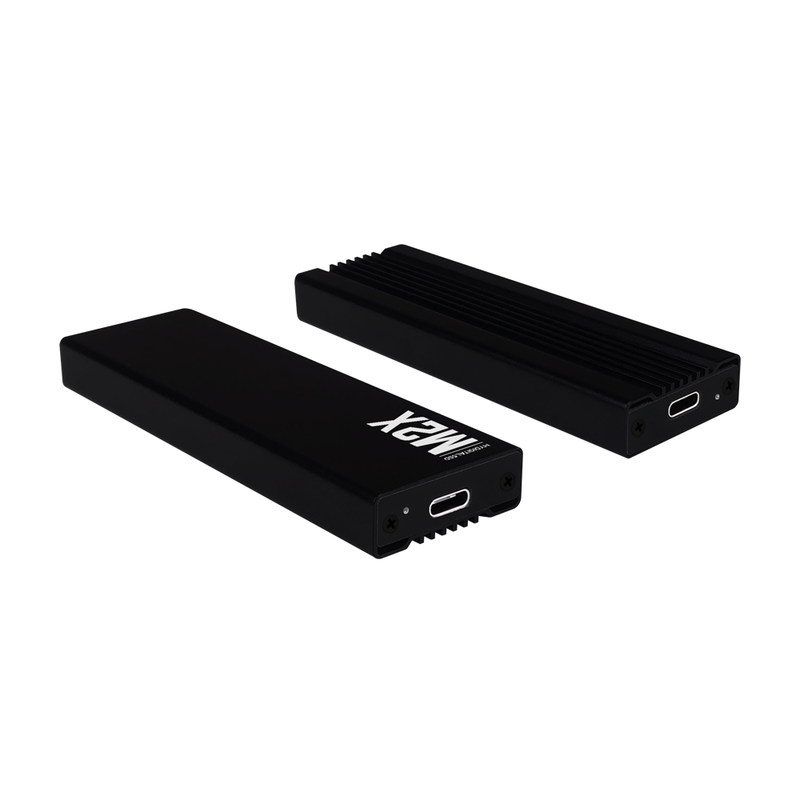 Each MyDigitalSSD M2X includes two foot-long USB 3.1 cables for plug and play connectivity in either USB Type-C (USB-C) or traditional USB Type-A (USB-A) ports. 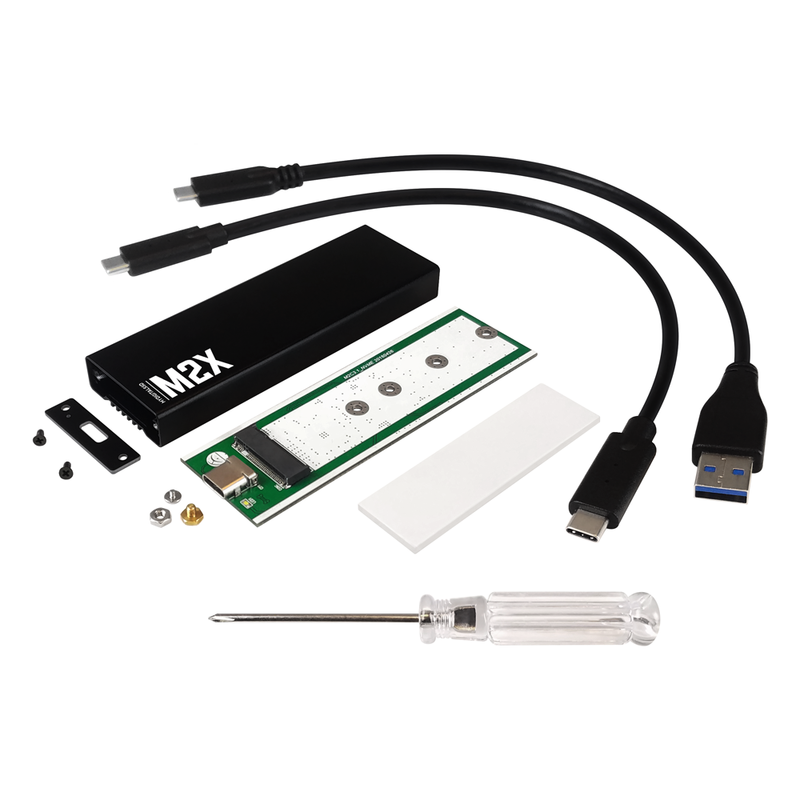 M2X enclosure adapters also include a mini screwdriver and M.2 mounting screw pack for quick and convenient drive installation. 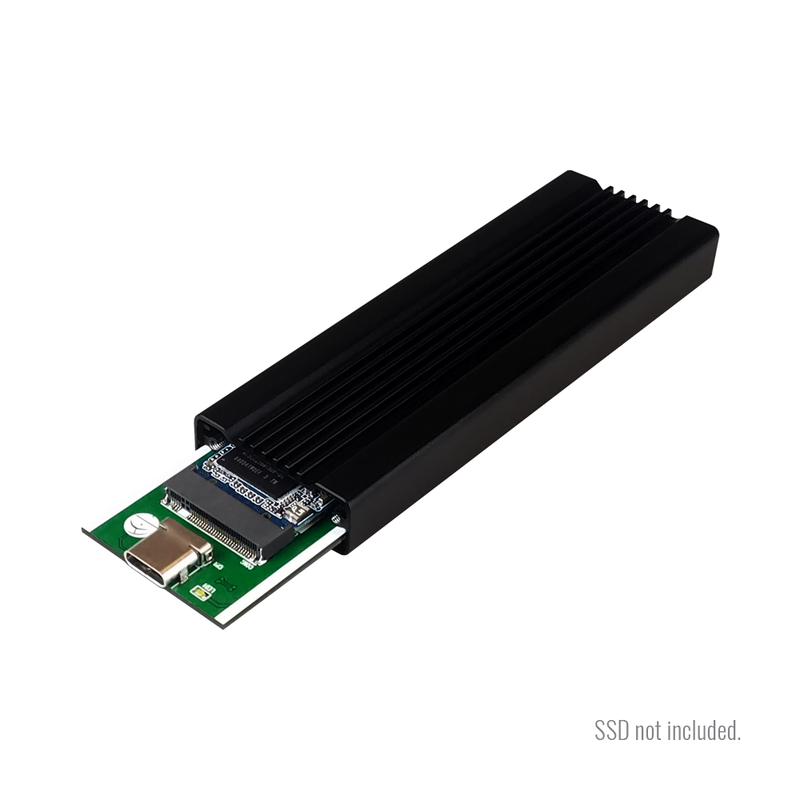 Note: MyDigitalSSD M2X NVMe USB 3.1 Gen 2 enclosure adapters are NOT compatible with SATA, AHCI PCIe, or B key NVMe PCIe M.2 SSDs. 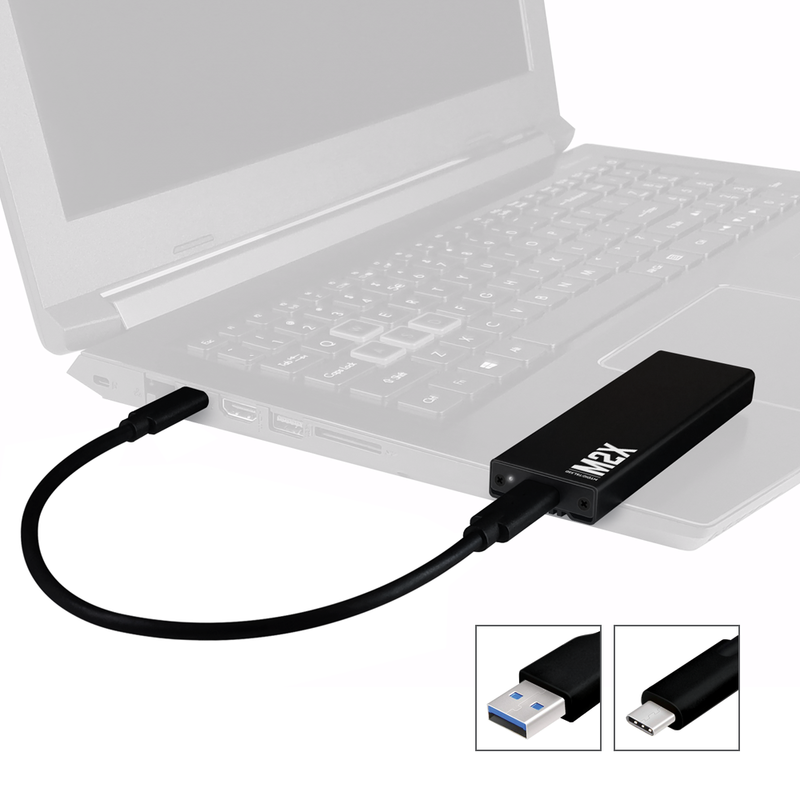 Another great item from MyDigital. 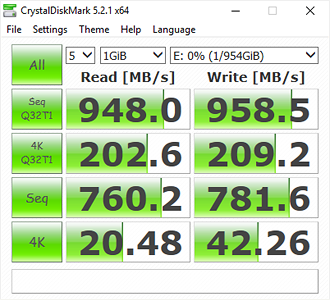 It turned my older 1Tb M.2 2x into a mobile storage device! 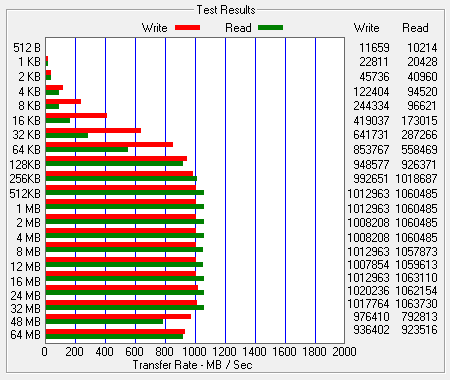 It was sidelined until I got this. Glad to be able to re-purpose it.